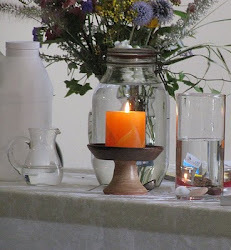 UU congregations are small not only because they do not have the skills to resolve conflict, and they lack competent leadership but because they have poorly developed sense of mission as evidenced by inadequate mission statements. An inadequate sense of mission is not only a symptom of poor congregational functioning but also can be a symptom of anemic spiritual awareness. 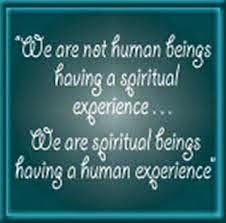 Two major spiritual questions are: Who do you think you are, and what do you think you are doing? In other words why are we born and what is the purpose of our lives? Unitarian Universalism draws upon six sources and states as one of its principles of covenantal community to promote and affirm the free and responsible search for truth and meaning, but these guiding frames of reference may be way too broad for most individuals and church organizations. Pastor Rick Warren’s book The Purpose Driven Life sold millions of copies indicating the thirst that people have to be helped to develop a sense of meaning in their lives. • Acceptance of one another and encouragement to spiritual growth in our congregations. Respect and compassion for each other and our world. The mission of ________ is provide spiritual support to individuals and families, improve the quality of life in our community and the world, and work across systems and cultures for positive change. 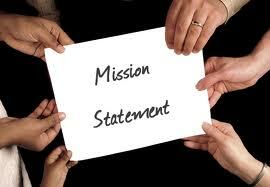 A useful, effective mission statement should possess three characteristics: it should be memorable, create a boundary which allows people to discern whether organizational activities are valid and appropriate for organizational implementation, and be a basis for developing indicators to measure and evaluate organizational effectiveness. The failure to develop a viable mission statement that fulfills these three functions leaves the organizational identity and purpose ambiguous and lays the foundation for conflict and organizational failure. A good mission statement tells people who members of this organization are, what they are about, and what they intend as consequences of organizational activity. A good mission statement is the tiller of the boat, it allows the leadership and membership to steer the vessel in an intentional and deliberate way towards a destination. Without the tiller, the boat is adrift, and if you don’t know where you’re going any wind will take you there. I have nothing against mission statements. But I think you are wrong that smallness of UU congregations is at all related to weak mission statements. I look at the mission statements you supplied here and wonder how on earth either would do anything to build a congregation. In fact, the mission statements you quote here and every UU mission statement I have ever seen seem bland, meaningless pablum to me. All any of them say is, we seek to be a church, which is strongly implied by becoming a formally organized congregation. It is the being church or falling short of being church that builds or hinders our numbers, no? The IRS requires a mission statement to determine whether a church is operating within its stated purpose to maintain its tax exempt status. Most mission statements even for the IRS are vague and general as you point out and therefore their usefulness is very limited in providing people with a sense of identity, purpose, and criteria for evaluative assessment of organizational performance. Rick Warren's book, The Purpose Driven Life has sold millions of copies and he is pastor of one of the independent mega churches so if you look at the organization he has built it would seem that having a clearly stated mission statement which fulfills the 3 functions I stated in the article leads to improved organizational performance which can accommodate and orchestrate more numerous participants. You wrote "...every UU mission statement I have ever seen seem bland, meaningless pablum to me." and that may be why UU congregations unlike Rick Warren's are small. It would seem that you are agreeing with my point. At any rate, I don't want to put words in your mouth and I appreciate your comment.